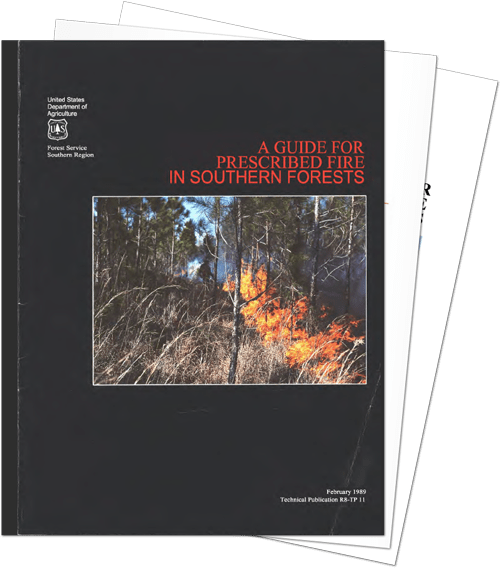 Fire has played a major role in determining the distribution of plants across the South. Some plant communities such as cypress swamps survive for centuries between prolonged droughts that finally allow stand replacement fires to enter. Other communities such as the once vast expanse of longleaf pine burn every few years. In fact some ecosystems, for example the longleaf pine-wiregrass association, require periodic fire for their very survival. A basic premise of fire ecology is that wildland fire is neither innately destructive nor constructive: it simply causes change. Whether these changes are viewed as desirable or not depends upon their compatibility with one's objectives. Irrespective of man's viewpoint, change is biologically necessary to maintain a healthy ecosystem. Resource managers have learned to manipulate fire-caused changes in plant and animal communities to meet their needs, and those of humankind in general, while at the same time preserving underlying natural processes and functions. They do this by varying the timing, frequency, and intensity of fire.